We have a solution where we implemented some actions that allowed us to hide the Git concepts of Push, Pull, etc.. 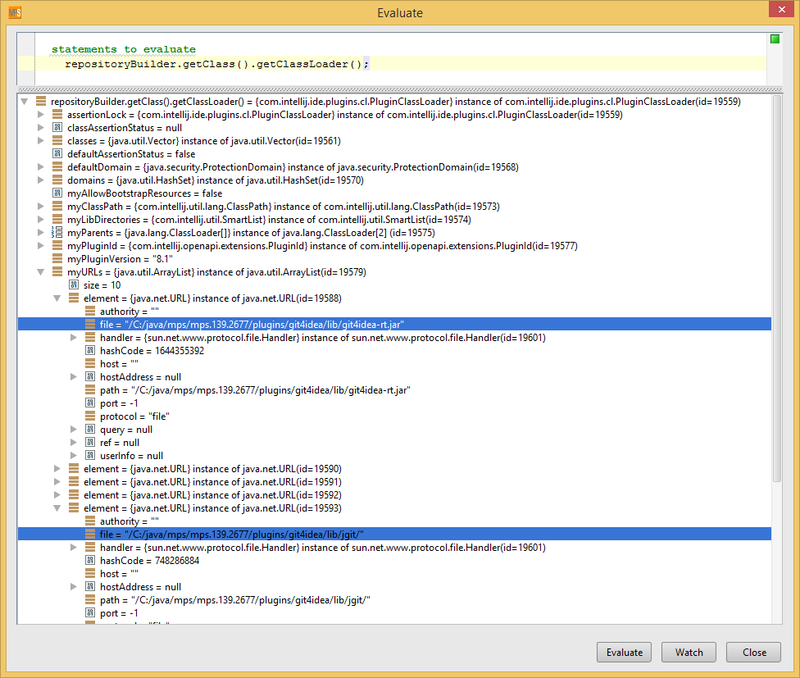 Problem: we can access all Git4Idea functionalities and all classes from the jars that it uses EXCEPT for jgit ! After a lot of debugging, I saw what the problem is: at the moment when the FileRepositoryBuilder class is instantiated (or trying to), the ClassLoader in use is the PluginClassLoader for Git4Idea (which makes sense) but it's URLs are wrong! 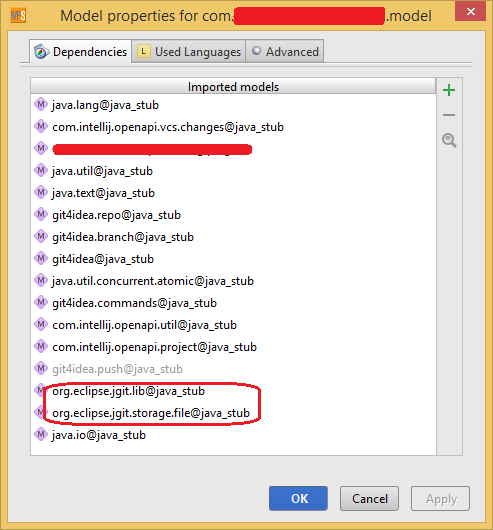 This means that the ClassLoader will have access to all classes/resources included in the jars that are in its URL list; however, when the URL is a folder, it will not see classes from any jar that they may contain, instead it will look for .class files in the folder/package structure (for instance, it will try to find class 'org.eclipse.jgit.storage.file.FileRepositoryBuilder' in the folder 'lib/jgit/ org/eclipse/jgit/storage/file/FileRepositoryBuilder '. I think that instead of adding the folder URL, it should, recursively, list all containing files and add all jars/zips that it may find. I've managed to work around this problem by copying the two jars located in 'lib/jgit' folder to the 'lib' folder. Doing this, the Git4Idea PluginClassLoader will have the jgit jar directly in its URL list and make all contained classes available to the application. Does my analysis make any sense? Can anyone give some more input on this?